Take your baby for a ride around the yard or the park! 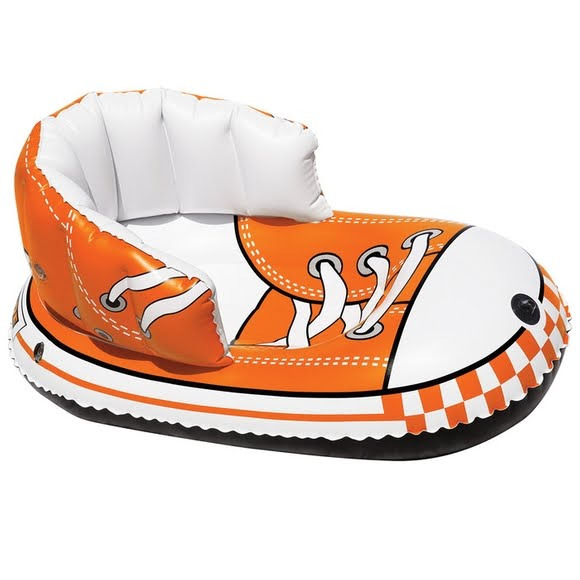 This Airhead fun shoe-inspired sled is just right for bundling up your little one and heading out in the snow for a tow around town. The large backrest with side walls keeps your child securely seated and the slick bottom enables a smooth ride. Take your baby for a ride around the yard or the park! This Airhead fun shoe-inspired sled is just right for bundling up your little one and heading out in the snow for a tow around town. The large backrest with side walls keeps your child securely seated and the slick bottom enables a smooth ride. Featuring a tow rope attached to the front, and bright colorful graphics your child will love, the Snow Shoe will provide years of fun.